Here is the beautiful work of Michelle Ignatowitz. Isn’t she an amazing stitcher! This is a custom pattern that was created here. 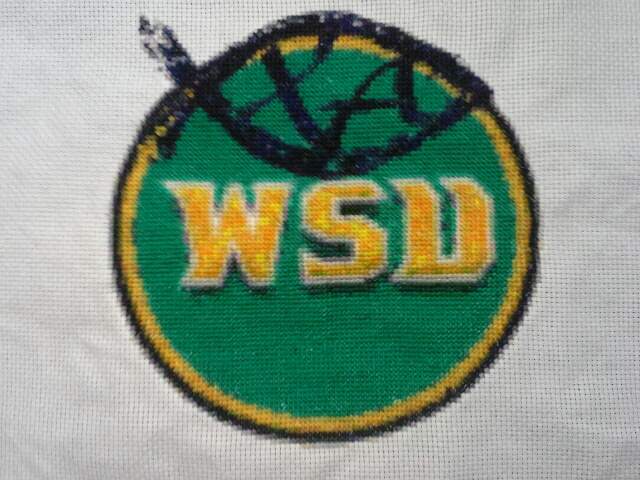 It is the logo of Chi Alpha Campus Ministry overlayed on the logo of Wright State University, which is Michelle’s alma mater. 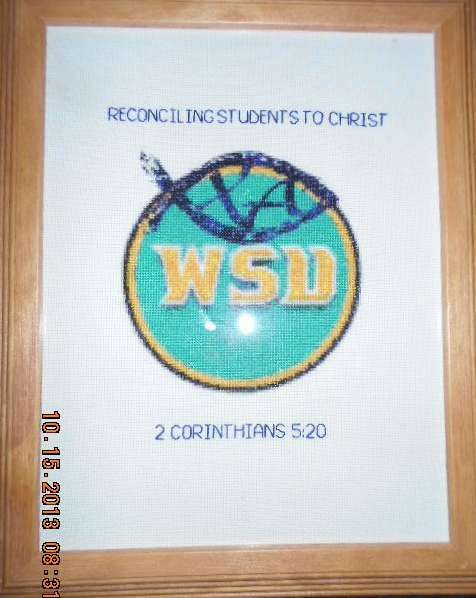 She stitched this for the pastors at the Chi Alpha Campus Ministry.